The Women’s Army Corps was founded in 1942 to fill non-combat positions in order to free up men to go to the front lines in World War II. It soon became clear that the brass preparing for women soldiers did not understand women. For example, they stockpiled smelling salts for those who fainted during vaccinations, which was unnecessary, but fed the new recruits a standard army ration of nearly 4,000 calories a day. That led to the peculiar condition of women gaining weight during basic training, and the harassment from male soldiers that followed. It took a while for real change, so the WACs took it upon themselves to correct the menu. There were other hiccups, such as women wrestling with equipment designed for the average sized man and the unavailability of hair stylists to help women conform to uniform rules. 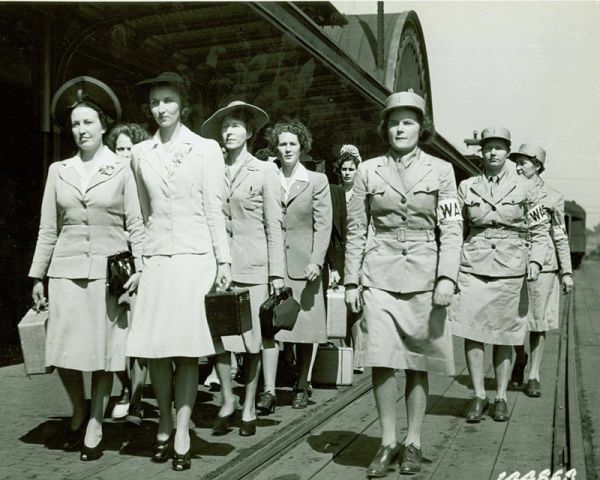 Read about the rough beginning of the Women’s Army Corps at Atlas Obscura.